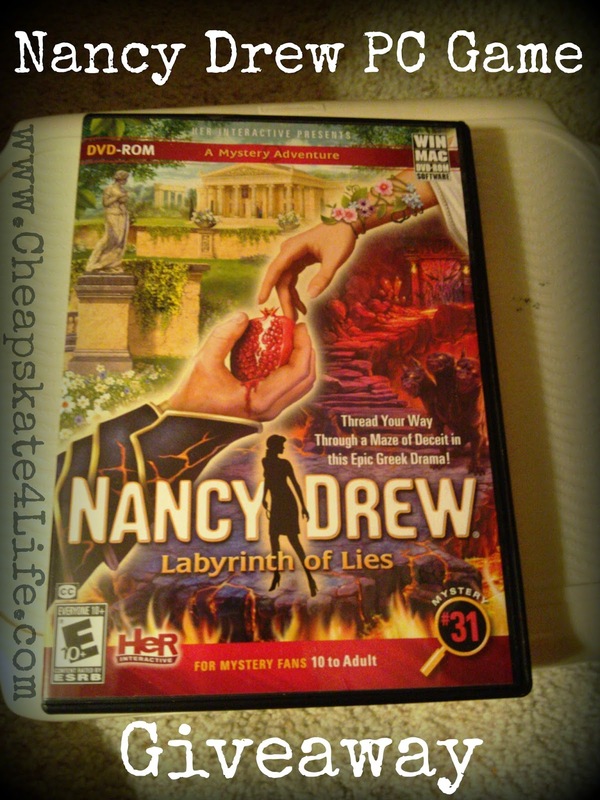 One thing I've always appreciated about Nancy Drew computer games by HER Interactive is that they are challenging. You'd think this is just a "kids' game" - and of course it's great for pre-teens and teenagers too, but I still find the games challenging and even have to look up walk-throughs online for hints once in awhile. The mystery is my favorite part - There is always something creepy around the corner and you never know what will happen next! I was lucky enough to review Nancy Drew: Labyrinth of Lies - a PC mystery game set in a Greek museum and amphitheater. It took me awhile to really get into the fun parts of the game because I wasn't seeing some clues that were right in front of me at first. 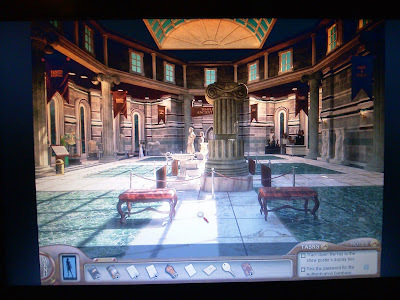 But once I started finding things like secret passageways and the elaborate and creepy sets for the Greek play - not to mention the drama between the actors - it really got exciting! I'm still in the middle of the game and I am playing the Amateur version which is challenging enough for me. 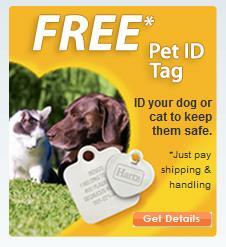 But for all you game aficionados out there, there is a Master Sleuth level for you. One thing I discovered in this game is that there is such a thing as a "fatal error" - which I recently made! Thankfully, the game allowed me to hit the Try Again button to continue where I left off. 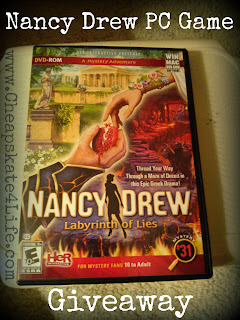 I had to use some hints to figure out how to pass this part of the game, which is part of what makes Nancy Drew so fun. It's a challenge! And that's what mysteries are all about. Enter below to win Nancy Drew: Labyrinth of Lies! A lot of the games look really great! Most of all out of them Ghost of Thornton Hall catches my attention. I would love this game!! I have nieces who would have so much fun with this!